In the physical sense Dubois, Wyoming sits in splendid isolation. The Wind River flows through town, several quality streams are nearby as are almost countless still waters, most of which are in the river’s watershed. Good, clean air and breathtaking scenery abound. Congestion is absent. Also present are abundant salmonids and wildlife, both of which have economic value to the somewhat isolated community. 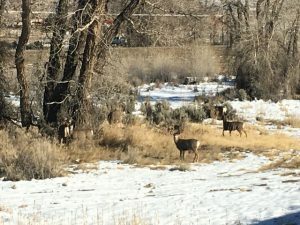 Inevitably degradation began on some streams, and to counter this, concerned angler citizens came together to form the Dubois Anglers and Wildlife Group (DAWGS), a non-profit organization formed to preserve and protect the recreational and aesthetic quality of the upper Wind River watershed. 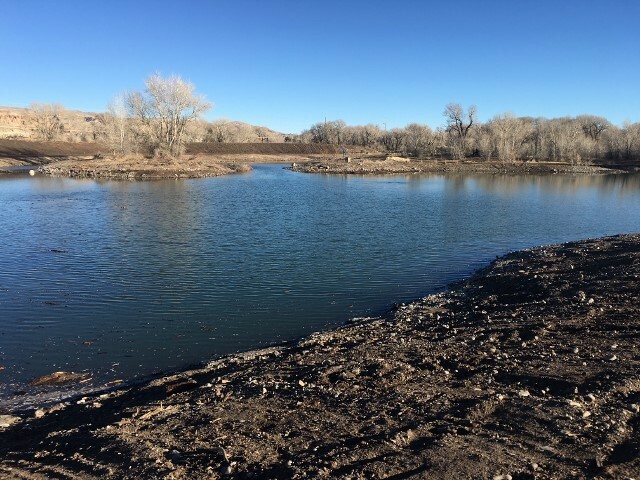 Protection includes promoting a scientific understanding of the watershed and the establishment of benchmarks for restoration, preservation, and long term fishery management which will sustain quality fishing and riparian life. DAWGs works closely with other local organizations, TU, and the Wyoming Game and Fish Department meet its purposes. These associations go beyond providing manpower to install such as fish screens, improve diversion structures and rehabilitate riparian zones. Fund raising, gaining landowner confidence and gaining public support for projects such as these are ongoing but require time and effort. Another activity close to the DAWGS heart is introducing youth to fly-fishing. But something was missing, and that would be an appropriate, safe, convenient water body. The downstream end of the Sawmill Public Fishing Access on the Wind River seemed an appropriate location. Work began in 2007 to realize the pond in that location which also offers suitable stations for physically challenged anglers. So efforts began to raise funding, get approval from the town of Dubois for the location and cooperation, for pond design, and to obtain construction contractors. It took ten years to acquire these and other requirements, but results are that Pete’s Pond has been constructed and filled with Wind River water. Plans and efforts are being made to establish an appropriate shoreline and to obtain resident trout. The pond and its fish will be enjoyed by youth and all anglers. So here is a success story based on what can be accomplished through efforts of a dedicated group of sportspersons. It serves as a shining accomplishment example for all of us. You can read more about Pete’s Pond and what DAWGS has accomplished on their www.dawgsonline.org web site.